It was a crisp October morning as we headed down to Netheravon to meet the rest of the exped participants and collect our parachuting equipment. This would be the first time we would all meet as the exped comprised of both Regulars and Reservists from 3, 14, 16, 37 & 71 Sig Regts. It was a complicated plan which somehow came together and meant we met everyone there at the right time and were all weighed, collected our kit and out within an hour. We returned to Netheravon the next day for our ground training where we also met our Advanced Instructor, Stu Albon, he and SSgt Alex Clark (our military Accelerated Free Fall Instructor (AFFI) were to spend the day beasting us all into the ‘Hard Arch’ position with some lessons and Reserve drills in between. 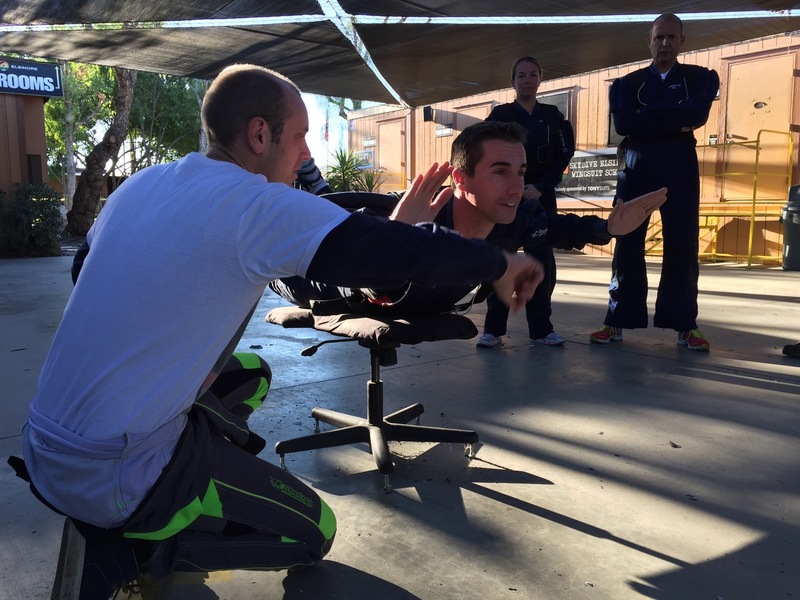 This training followed the BPA syllabus and is mandatory for all students prior to skydiving. The next day saw us head to Heathrow for the long haul flight out to LAX which would see us arriving into the Californian 30° heat. Here we collected our hired minivans and headed off, luckily missing the notorious LA rush hour traffic, to Lake Elsinore and the glamorous Econo Lodge Hotel and Casino. Further ground training in location proved to the instructors that all were happy what to do in the event of a malfunction and we were ready to jump. The first few days saw the majority of students getting through the first three instructor intensive levels. A last minute drop out on the exped meant that student numbers were down to six prior to departing the UK and with our two instructors, this sped the process up considerably. Three levels down and everybody was cracking through the progression, the next stage was to jump with one instructor and to start practicing turns and movements in the sky. The Accelerated Free Fall (AFF) syllabus consists of 8 levels followed by 10 consolidation jumps. 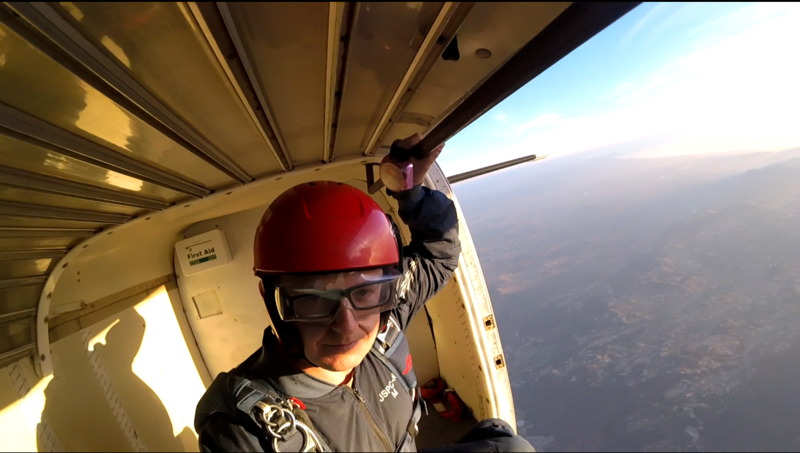 Levels 1 – 3 are with two instructors and right from level 1 you are jumping out into around 45 seconds of freefall. These levels involve proving that you can adopt a stable position and can also conduct practice pulls to locate your toggle. Levels 4 – 7 then require the student to start showing that they can be stable without the instructor holding them and then start 90° followed by 360° turns, regains from instability and tracking. 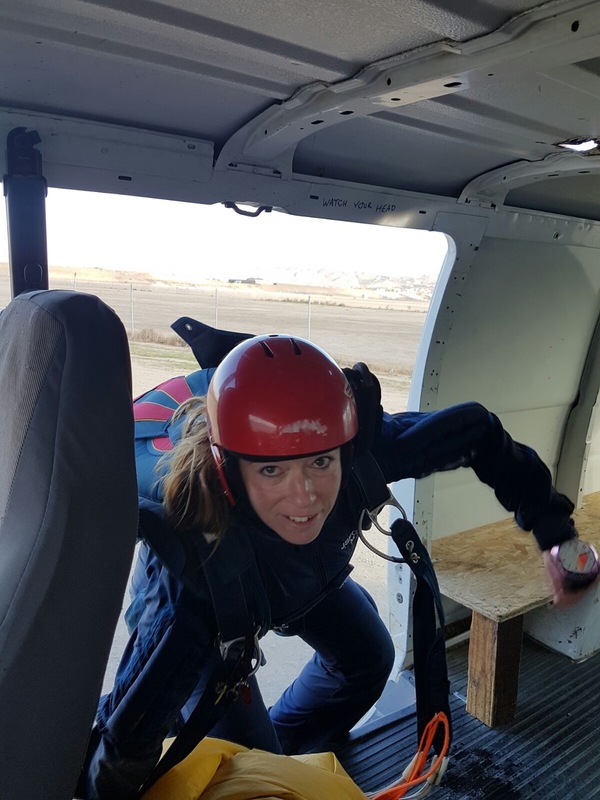 Level 8 is a ‘hop & pop’ which simulates an aircraft emergency at 5,000ft where the student needs to exit and pull their parachute within 10 seconds to pass. The final stage is to conduct 10 consolidation jumps on which students are to practice work on points from the instructor before pulling slightly lower and landing comfortably each time. Midweek we headed over to the wind tunnel in Perris to allow everyone to work on their body positions and see just how much they move when they have a point of reference. This training proved extremely useful for all, even SSgt Ben Heath who has a strange phobia of the tunnel. The rest of the jumping was broken up with a short stay in San Diego over the weekend due to the DZ closure. This was a welcome break as the three or four adrenaline dumps per day were very tiring for those new to the sport. Our instructors also felt this was a good move as one or two students were starting to over think things which meant they needed to redo one or two of the levels. Despite this all students had performed well to this point with only SSgt Rob Smiejkowski, Sgt Jim Sutton and LCpl Dino Honychurch requiring additional training to get through their levels 5 & 6. Level 6 required the student to perform a backflip and then regain stability. Unfortunately LCpl Dino Honychurch never overcame this and after three attempts decided to not continue. It wasn’t until sat in the airport en route back to the UK reminiscing over the footage that we all realised just why he had decided not to continue as he was spinning about uncontrollably on the screen in front of us! A great effort to get to where he did though. After pushing past their fears, our last two students made it through to level 7 and onwards to their consolidation jumps. Week two progressed along quickly with many of the students completing up to 5 jumps per day even though we were often hampered by the wind. We were now accompanied at the DZ by the RAF Parachute Display Team, the RAF Falcons, this did impact on the space available in the packing area and the spaces on flights for our jumpers. 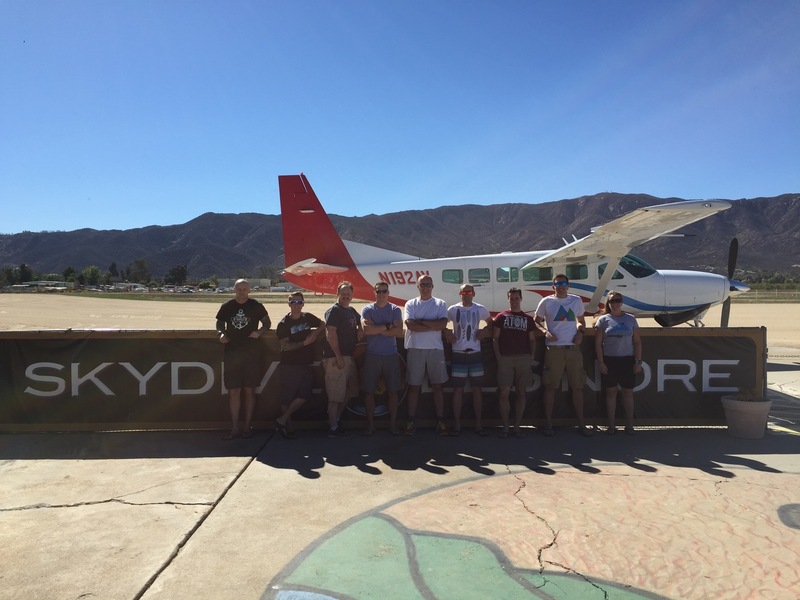 After a short discussion with our instructors we decided a trip over to Skydive Perris would prove worthwhile in order to allow the students to experience jumping at a different DZ. Primarily though this was due to the busyness at Elsinore DZ and unworkable wind conditions, however after one jump the wind picked up and we found ourselves on a student hold again and so made the decision to head back to Elsinore in the hope of getting a few more jumps in that day. 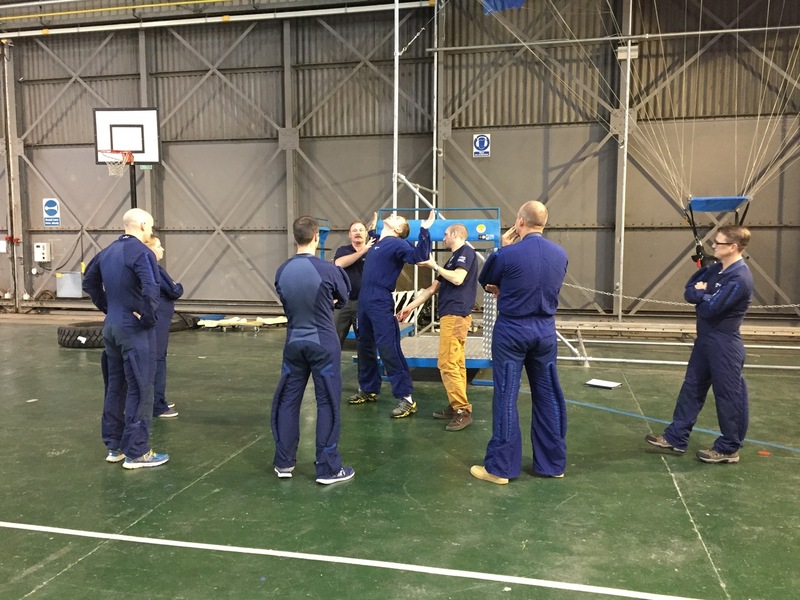 Our second week saw all five remaining students qualify as BPA A Licence holders after completing AFF and the Canopy Handling 1 exam and one other qualify as a BPA B Licence holder. As our funding was kind to us we managed to keep everyone jumping who wanted to jump all week. 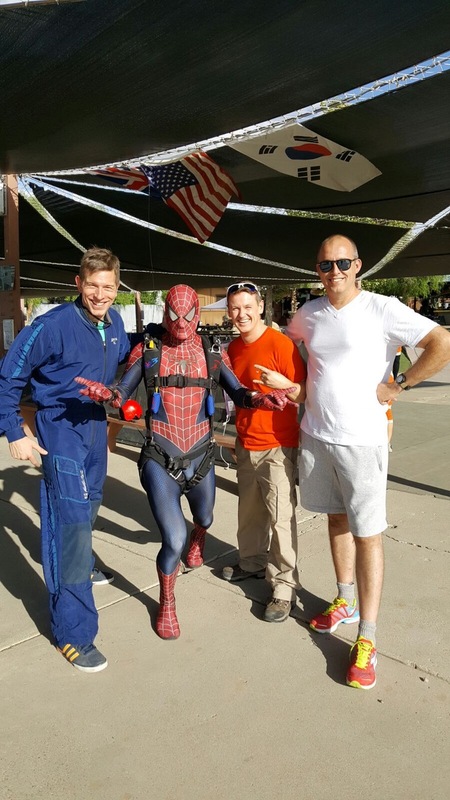 Those who had seen enough adrenaline throughout the week (SSgt Rob Smiejkowski) but had done enough to qualify chose to watch the fun jumpers rather than join in on the last days. To show our appreciation to the DZ for hosting us and the packers for their hard work throughout the week, we hosted a DZ BBQ with many in attendance. This was a fitting end to a great two weeks jumping at the DZ and all participants agreed that it is clear why this particular location remains a firm favourite for British military expeditions. 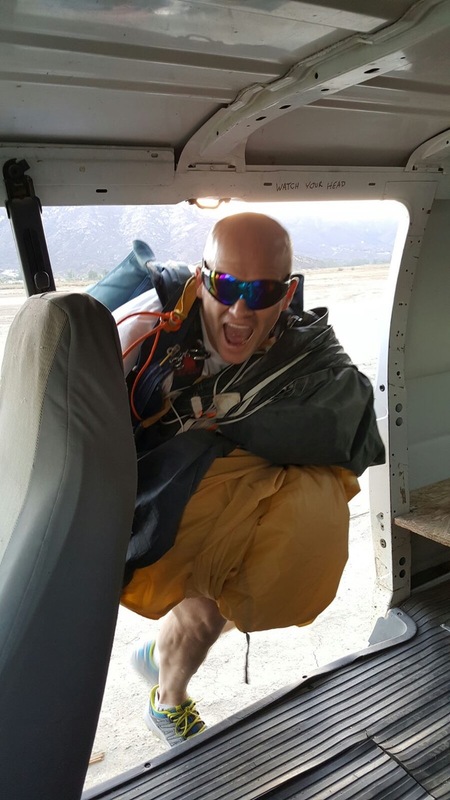 The friendly and helpful DZ staff, the familiarity of the packers and the relaxed atmosphere provide a more welcoming environment than the likes of the commercialised Skydive Perris. The only thing left now was our R&R in San Diego. Our second trip to San Diego in as many weeks and there was still so much to see. It’s plain to see why Californians are generally so happy when they live in areas like this. We had 48hrs in the city in which to explore the multiple areas of interest although for some reason we kept getting drawn back to the Gaslamp District. The weekend was made all the better by the refund everybody got to their Personal Contributions. Everybody paid £1200 prior to the start of the exped but some very generous funding managed to reduce this down to around £650pp. This was after all exped expenses had been paid, not bad for two weeks in California to conduct AFF all flights, accn and most of your food included, and for some reason we struggled to get volunteers! 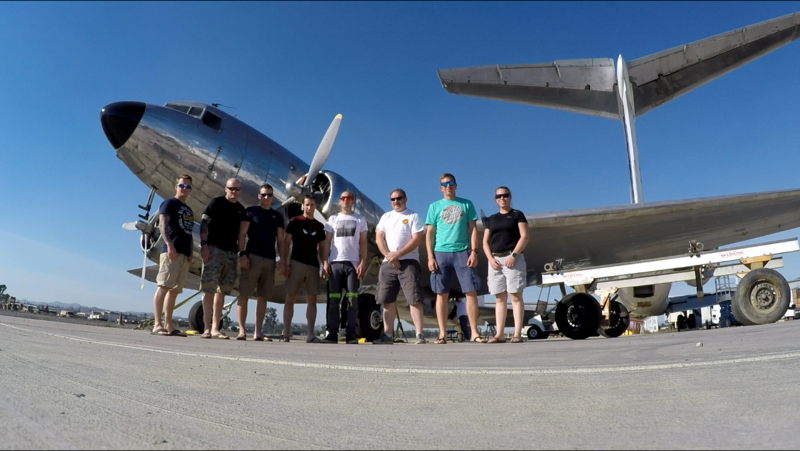 Group photo next to a rare DC3 Dakota.